As an approved dealer for Turnstile Security Inc., Devon Technologies is able to offer sales, service, and installation of rugged and reliable pedestrian access systems. 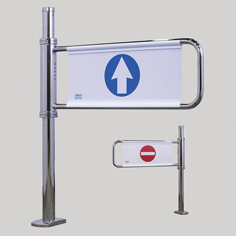 These crowd control systems include automatic gates, man gates, and turnstile products to count and control the flow of pedestrian traffic. 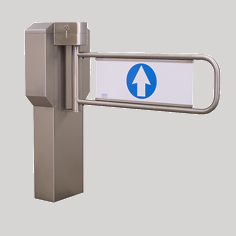 Detailed product information is available for each Turnstile Security product by clicking on the individual pictures below. 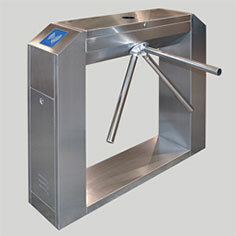 The Turnstile Security Systems Inc, 6000-GB1 is a bi-directional optical turnstile. 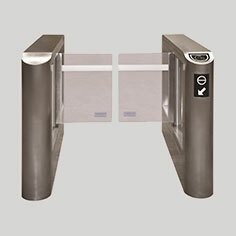 The Turnstile Security Systems Inc, 6000-GB2 is a bi-directional optical turnstile. 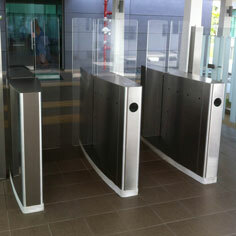 Turnstile Security System Inc’s 6000-HB100 Optical High Barrier Turnstile. 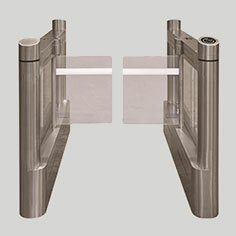 The slimmest automatic opening gate in the market place providing a perfect access control solution for a distinguished entrance or exit route. 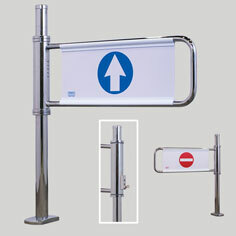 The 5000 series automatic opening gate is used to control medium/high volume pedestrian traffic into and out of specific areas. 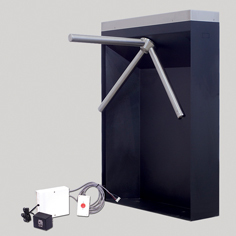 3000 series turnstiles are designed to provide access control to both supervised and unsupervised locations. 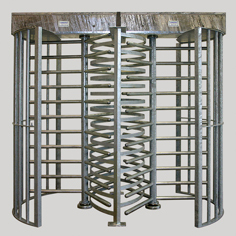 Turnstile Security Systems Inc. 3000 series tandem hi-gate turnstiles are designed to provide years of trouble free service. 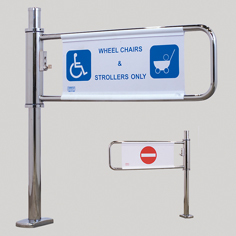 The 3000 series Manual gate is to be used in conjunction with the single and tandem hi-gates to provide controlled access for handicap or personnel. 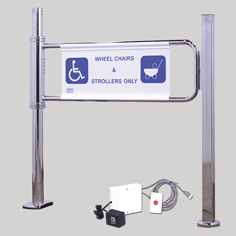 Handicap gates are designed to provide easy access for the disabled person while providing a barrier to others attempting to exit. 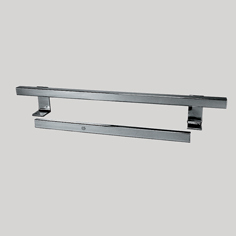 Manual locking gates were originally designed for check out closures but they are also widely used for handicap access and barriers where limited access is required. 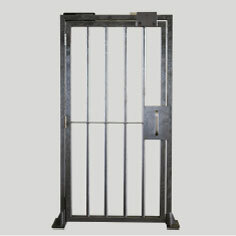 Lockable Self Closing Gate Systems-This gate has been design to meet the needs of a manual closing swing gate and the barrier of a manual locking gate, all in one. Mechanical and electric locking swing gates are a popular alternate to turnstiles, to control how customers enter and exit your premises. 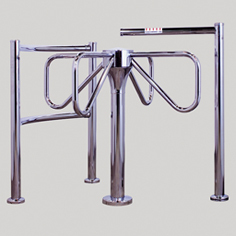 3 Arm Turnstile – Electrical / Mechanical Turnstile Security Systems Inc’s 1100 series line of waist high turnstiles provide an excellent means of controlling and counting the flow of pedestrian traffic in and out of your facility. 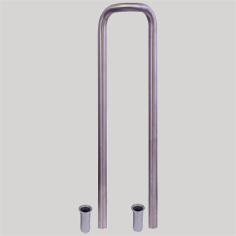 The 1100 series line of waist high turnstiles provide an excellent means of controlling and counting the flow of pedestrian traffic in and out of your facility. 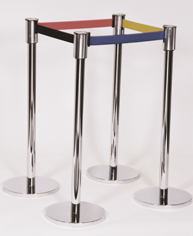 Turnstiles offer an excellent means of creating a flow in one direction allowing customers easy entry while discretely directing them to exit at a monitored location. 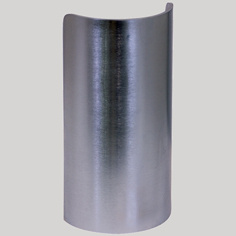 Turnstile Security Systems Inc’s posts are rugged, attractive and flexible – a retractable belt system that is versatile, easy to store or configure, simple and flexible to use, and built to last. 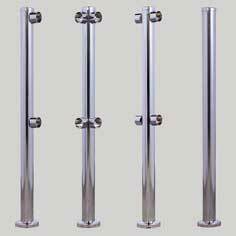 Turnstile Security Systems Inc.’s railings and posts are widely used because of their strength, quality and good appearance. Protect your expensive refrigeration units and displays from damage caused by shopping carts and pallet trucks. 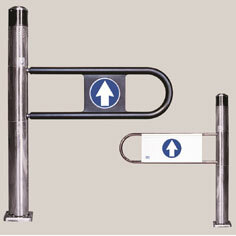 Turnstile Security Systems Inc offers two types of corner protectors, permanently mounted or removable. For a free quote to service an existing Turnstile Security system, or to install a new system at your place of business, contact Devon Technologies at 604-533-0205.